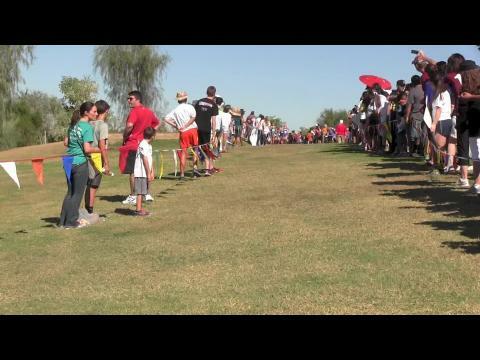 Tired of missing a trip to the podium year after year, the Corona del Sol boys decided "This was their year" winning the AZ State Title with 48 points over Desert Vista's 80 points. 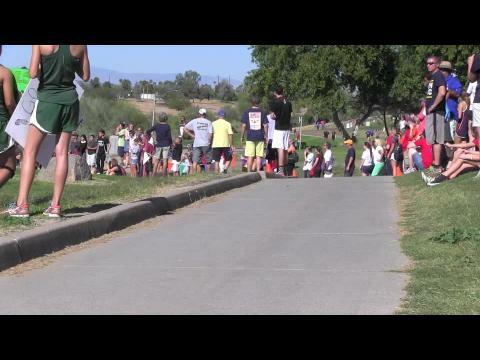 It took 13 years to get back on top of the podium and Desert Vista did it with the youngest group of runners in the history of distance running in the state or Arizona. Coach Messer and the Desert Vista Girls talk about their team championship at the AZ State Meet. The division 1 boys at the final 800 of the 5K course. 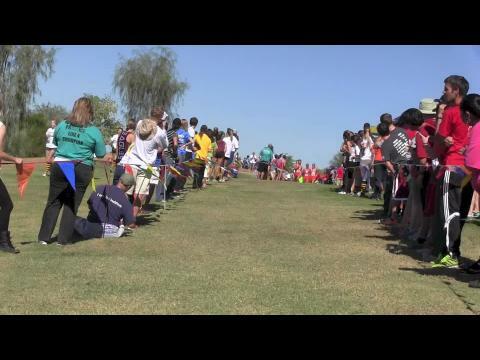 The Division 1 boys just passed the mile on their way up the hill at the Arizona State Meet. The Division 1 girls just passed the 1 mile mark on their way up the hill. 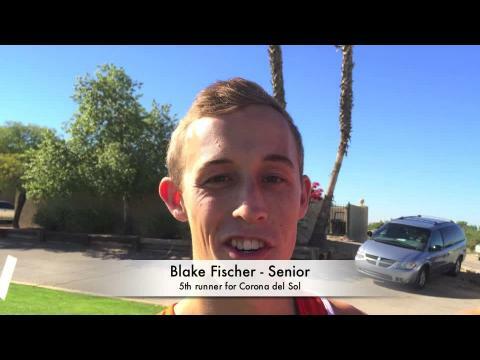 The Corona del Sol boys talk about the Team and Individual State Champion results.